Hit the streets with all the info you need. 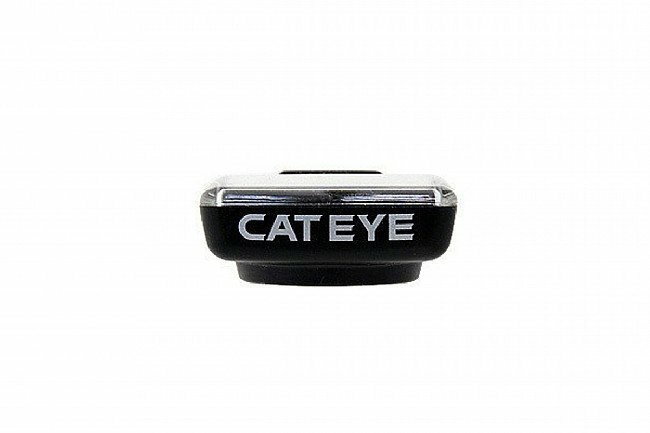 The Cateye Urban Wireless offers all the basic functions you'd expect in this price range, plus a few smart extras like carbon offset and calorie consumption information to keep you motivated when tackling the commute. A large, easy-to-read display and simple single button operation allow you to stay focused on traffic instead of fiddling with your computer. I try to bike about 25 miles 3 times a week and it helps me keep track of my improvements in the time it takes me to go those 25 miles and the average speed. This helps me know if I'm improving my fitness or struggling. simple and accurate. basic necessary info . unfortunately, it will not hold odometer reading when you change battery. in my case after 14mths ,lost 1600 miles odometer reading.Had I known I would not have purchased. It is very accurate once tire size is selected. 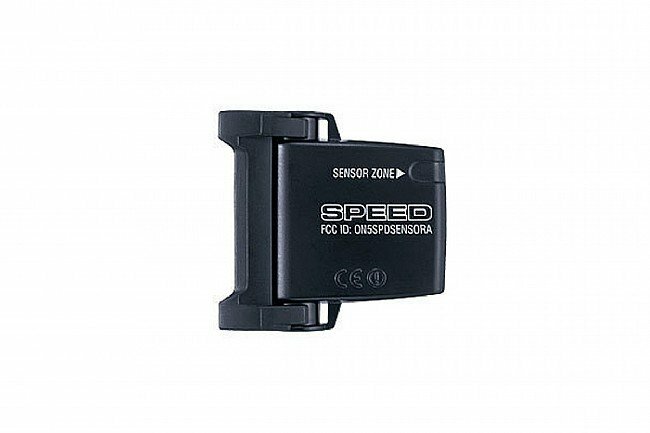 I use this on my rides to time and track mileage. A very good product for the price! I have a similar wired one on a 26-er, but that same model doesn't work for 29-ers. Just wondering if these have a 29-er option in them before I buy. The other one I have works great and keeps me motivated to go fast. Simple and sufficient for my needs. Easy to install and easy to use. Have had a run of bad luck w/other Cyclecomputers. They have failed, or been wildly inaccurate. This one gives me the basics and lets me ride w/o worry and/or frustration. Keep your monitors and GPS, this works for me. I have 2 of these. Very simple to use and set up. Works every time. As long as you don't need cadence, this is a great value. Easy to set up. Easy to cycle through data. Has everything except cadence. 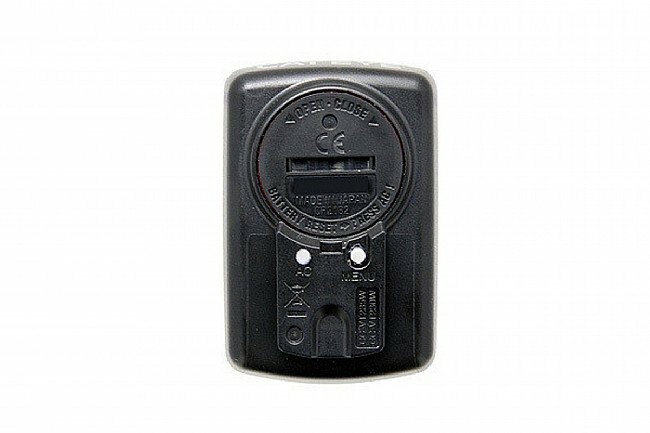 Mounts securely on parallel or perpendicular bar setup. Easy to era but still compact. Very pleased. Easy to set up and easy to read. After some fine tuning, it works very well on my recumbent. 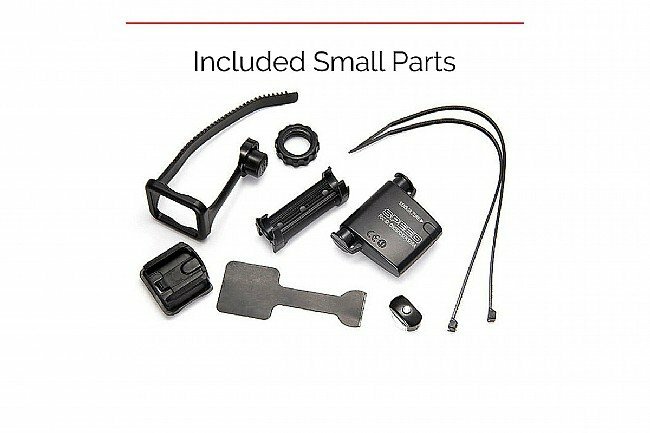 Easy mount, light, all the info you need. Even mounted on Jones truss fork. This is a great , easy to set up, straightforward bike computer. Commute to work...easy to scroll through menu and tell what I'm looking at while moving. This would be the perfect computer if it had a backlight for my commute home at night. The Fork on my Trek Shift 2 seemed a little big but the way the little attachment squeezes onto the fork eliminated the problem. I mounted it in the middle just above the stem and I can see it easily as I ride. At 75 the big numbers help. If someone would tell me how to zero I would appreciate it but I will find out anyway if it is possible. I think my son for getting this. I am just not part of the loop and the kids are great that way. You can do a full data reset by pressing and holding the MODE button for 2 seconds. So far the product has worked well. Recumbent bikes are an interesting configuration - the wireless feature made the installation a snap. The over all look is clean and uncluttered. Display is easy to read and informative. Set-up was simple. I recently moved the sensor closer to the computer to comply with the 70cm distance as specified, when the display was not consistent. Seems to have fixed the problem. Great device. 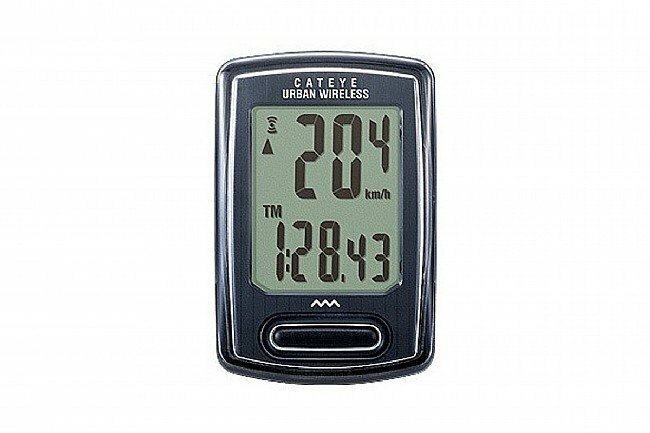 If you do not feel the need for a cadence meter on your bike, this baby will give all that you need at a fair price. The display is slightly larger than some other cateye computers, but not too big........Easy to visually pick-up while in the move. Easy to mount, took about 5 min. Very easy to read while in motion. 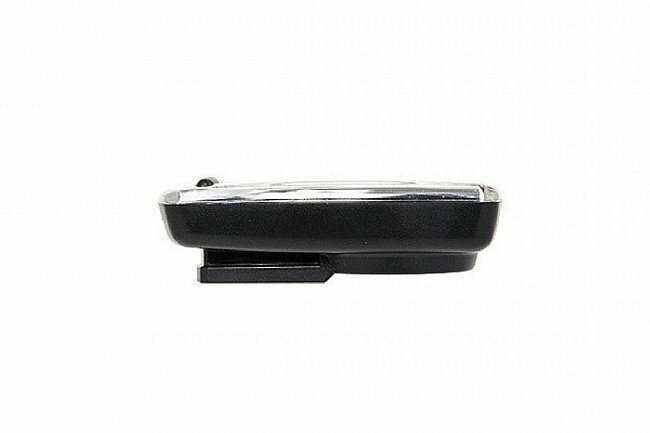 Allows you to see wo reading glasses all info with touc of one button. I use a handcycle so my hands are not free to press multiple small buttons. I press button before I start to display data I need to see during ride, then press button after ride to get more specific data.